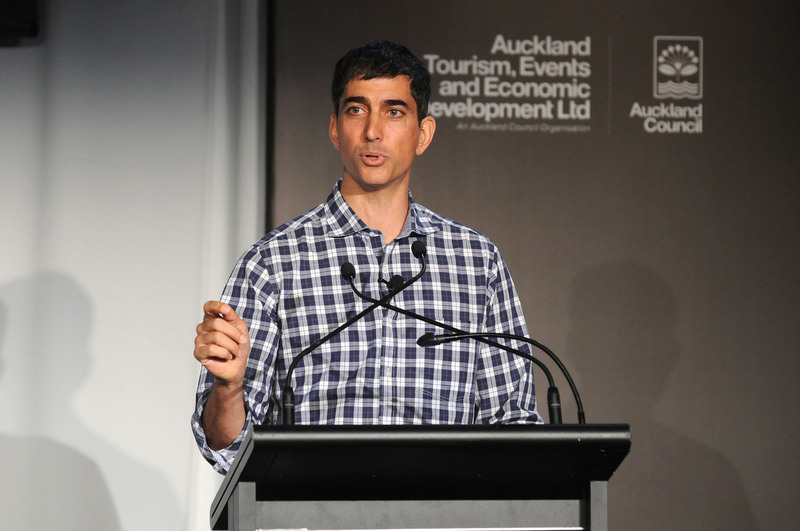 Next week I’m flying to Auckland, New Zealand to attend the 2013 ‘Better By Design‘ CEO summit. I attended this event for the first time last March and out of the dozens of design-related events, conferences and workshops that I’ve attended across the world and locally over the last two years, this has easily been the most inspiring and impacting. Over the last couple of weeks I’ve been eagily anticipating the next summit and reflecting on some of the messages that came out of last year’s event. In particular, this week I want to reflect on one topic that was explored at the last event; the concept of “character”. I’ve always associated the concept of character with authenticity. However, in the past I’ve confused authenticity with consistency. I’ve questioned myself. How can I be the same person who puts on a suit to go to church or to present at a conference but also play electric guitar with my mouth in a noisy rock and roll band? Am I contradicting myself? Am I being inauthentic? If I am expressing my true character authentically, shouldn’t I be more consistent? Shouldn’t I dress, speak and behave more consistently across different environments? While I was at Better By Design last year I was lucky enough to hear David Lawee from Google share his insights on why character needs to express itself differently over time and in different environments. The first example he gave was of James Bond. We all know the James Bond character; cool, calm and collected, good with the ladies, lover of fast cars and new gadgets and quick-witted. 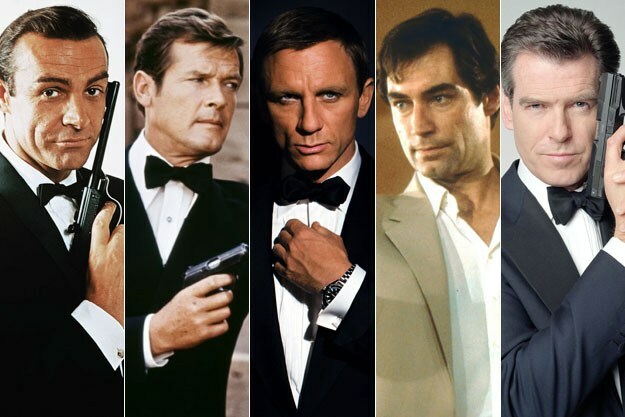 The long-term success of the James Bond character has lied in the ability of the filmmakers to reinvent the expression of his character for the different actors and eras that he has been portrayed. The secret here David argued, was that the filmmakers have always been clear on Bond’s essential purpose and so, starting from this purpose-driven place, the James Bond character has been able to subtley adapt and shift to suit the environment. And so, clarity of purpose David argued, is essential if an organisation is to express a unique character that distinguishes itself in the context of its time and place (and in the marketplace). The second example David gave was (perhaps a little biased!) the difference between Google and Yahoo! 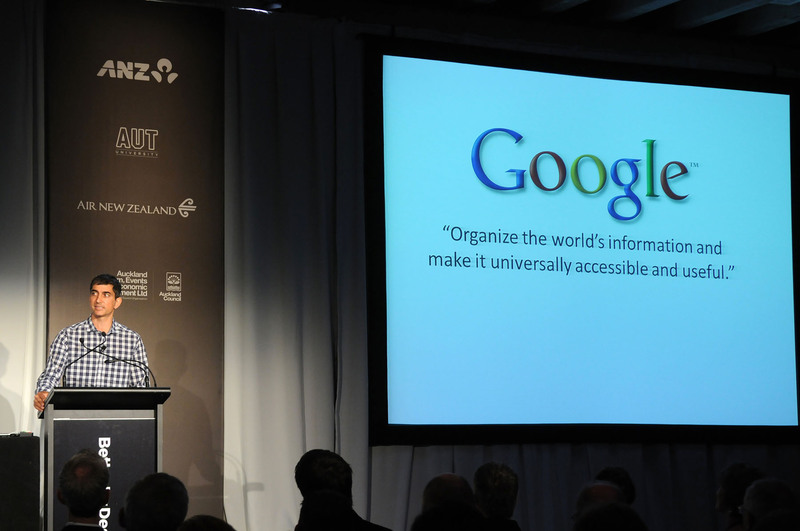 David explained the importance of Google’s purpose, to “organise the world’s information and make it universally accessible and useful”. This simple and clear purpose is expressed by Google in many ways through search, email, maps, advertising, social networking etc. While the purpose is clear and consistent, the expression of character changes to suit the environment and the times. Even though there can be various and inconsistent expressions of Google, they all seem to make sense because they are consistent with Google’s essential purpose. Yahoo! on the other hand David argued, haven’t been so clear on their purpose and so the expression of their character has been more confusing and has made less sense over time. When we apply these ideas from a business to a personal context, the message is really valuable. Is it a contradiction to express ourselves differently in different environments and at different points in time? Are we being inauthentic by not expressing the same kind of character at all times? Should we maintain a monotone, beige, inoffensive and consistent expression of ourselves for every situation? If we are exploring our true purpose, then by necessity we will find ourselves in all sorts of weird and wonderful environments where we will have the opportunity to express ourselves uniquely in ways that suit that time and place. I’ve experienced this sensation quite a lot when travelling; finding that I’m behaving differently to how I might have at home, but still authentically. When we learn to recognise our true purpose and accept the infinite facets of our character we can start to realise the great beauty and diversity that comes from living our life authentically. My awesome friend Brodie likes to describe personal character as being like a diamond. If we turn a diamond around or view it from different perspectives and under different light we recognise the multiple facets; each one is individually beautiful but different to the other, yet when combined we appreciate the total beauty of the diamond. My mission is to connect, empower and inspire by following my purpose and celebrating the moment. My purpose is to explore my curiosity with childlike passion and playfulness. Now that I am clear that this is who I really am, it makes a lot more sense that at times I’m drawn to moments of quiet and intimacy while at other times I just want to rock out, be spontaneous and go a little bit crazy! For me, my challenge is to not judge myself for wanting to express these unique facets of my character. If you are unsettled by other people whose behaviour changes over time or in different environments, consider that this might be their unique expression of character and that’s totally OK! And it’s totally OK for you too! Til next week, shine like a diamond and Be Awesome! Well expressed, Christian, although there exists carbon and zirconia. One is natural and the other, fabricated. Such, too, can be the case with character.